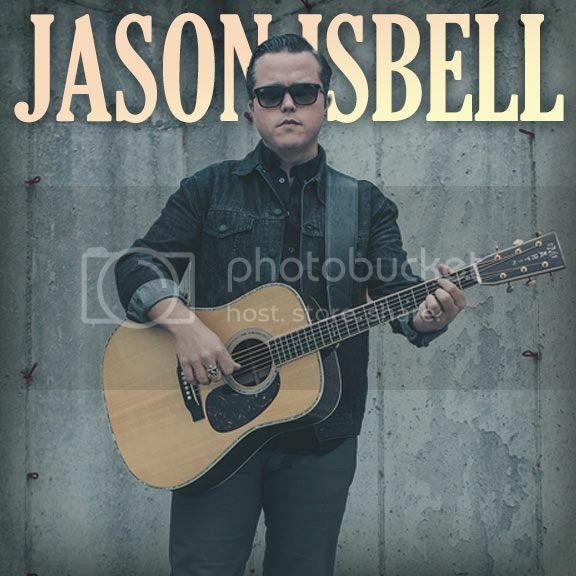 Jason is the 2014 Americana Music Awards winner for artist, album (Southeastern) and song (CoverMe Up) of the year. In addition, he won the 2012 Americana award for song of the year for Alabama Pines from his third solo album, Here We Rest. 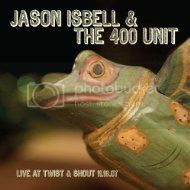 Jason has five solo albums, including a live album, and three EP's to his credit and, before that, was a member of the southern alt-rock band, the Drive-By Truckers, for three of their best albums. His sixth album, Something More Than Free, will be released on July 17, 2015; the advance notices are enthusiastic. He is a native of Green Hill, Alabama, near Muscle Shoals, and is part of the extended musical family of the famed Muscle Shoals Rhythm Section (more on that below). Southeastern appears to have been a turning point in Jason’s career. Its release created a surge of interest in his work and occasioned some of the best writing about him. The articles listed below provide a good introduction to Jason and insight into his work. They also are the source for the biographical summary that follows. Jason Isbell, Unloaded. New York Times Magazine. 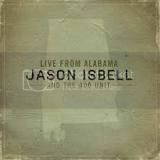 Jason Isbell Keeps On Truckin’. Since we’re here at TVF, Jason’s brush with The Voice is too good to pass up: TV invited Jason to be a contestant on Season 8. Jason tweeted out the invitation and then responded by, jokingly, accepting and stating: "My audition on 'The Voice' will be a solo vocal and French horn rendition of 'Oh Comely' by Neutral Milk Hotel. I will wear a #bikini." "These weren’t just any musicians he was jamming with. 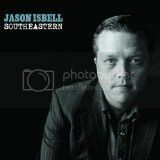 Isbell grew up near Muscle Shoals, where artists like Aretha Franklin, the Rolling Stones and Paul Simon made classic records with a tight-knit group of soulful session musicians, white guys who sounded black. These men included the bassist David Hood, the father of Patterson Hood, with whom Isbell would later play in the Drive-By Truckers." "'Those older guys would record behind other people during the day and go out and play these intense R.&B. 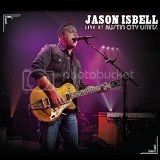 covers at night,'" Isbell says. "'They took a real interest in me. They taught me a great deal.'" "'Jason happened to be there that night, and we had an empty chair," Hood says. "He ended up going on tour with us." Within two weeks, Isbell had written "Decoration Day" and "Outfit," the songs that defined his tenure with the band. "I knew we’d struck gold," Hood says. "This chubby kid — he was 22 but looked like he was 15 — was going to be one of the great songwriters of our time." 'It was an auspicious moment to join the band. 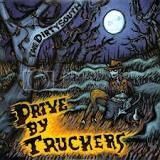 The Truckers has just released their third record, a double album titled "Southern Rock Opera" (2001), which become a major statement and breakout success. Rolling Stone gave the album four stars. The online music service Rhapsody ranked the album No. 6 on its list of "Rock’s Best Albums of the Decade." Jason stayed with the DBT until 2007, when due to personal problems, including problems with alcohol, he was asked to leave. Jason quickly started his solo career, releasing his first album, Sirens of the Ditch, in 2007. Two more original albums and one live album followed, all well received critically, but the problems continued. Finally in 2012, Jason’s new girlfriend, Amanda Shires, an artist herself, and his friend, Ryan Adams, convinced him to enter rehab. It was a turning point for Jason. He and Amanda later married, and Southeastern is, in some ways, his "recovery" album. Its lead cut, Cover Me Up, tells part of the story, but mostly it is a love song for Amanda. You might well see most of the album that way. Amanda has had substantial success on her own, with several albums and her song, When You Need a Train It Never Comes, selected as the fifth best written song of 2011 by American Songwriter. Amanda was a fiddle prodigy. While she was a teen, she played fiddle for the Texas Playboys, the current incarnation of fiddler Bob Wills' classic Texas swing band. She has become part of Jason's band, and her playing complements and heightens many of the songs. With Jason, her style is frequently dramatic, but often angular and spare, mirroring the tone of the songs. She can rock with the band as well. If you looking for traditional country fiddle, you won't hear much of that from Amanda when playing with Jason and the 400 Unit. Jason and Amanda are regular musical collaborators and often play as a duo. Last year, they toured as a duo to the UK and the continent. Two examples of their work together follow. The first is a cover of Warren Zevon's Mutineer, included on their Sea Songs EP, and performed recently on Letterman as part of his final series of shows. The cover of Springsteen's Born in the U.S.A. was done for a collection honoring the 25th anniversary of Springsteen's album. Take a listen: you've probably never heard the song like this. The post was edited 59 times, last by ned ( May 24th 2015, 3:59pm ). All of the albums, EP's and DVD's listed below are, or will be, available on Amazon. Most are also available on iTunes by searching under Jason Isbell or Drive-By Truckers for the earlier albums with the band. The section collects excerpts of lyrics from songs from each of Jason’s albums. At the end, it reproduces almost complete lyrics from two of his story songs, Elephant and Decoration Day. If you are a fan of Jason, you probably have your own favorites. He's trouble, but ain't we all? Trouble, but ain't we all? She was trouble, but ain't we all? He’ll turn his back and leave you way down in a hole. Before you "came home alright"
Close your eyes and remember this. It won't be back again, it's almost gone. Even times that don't seem like much will be your only crutch when you're alone. Time moves slow when you're seventeen and then it picks up steam at twenty-one. Pretty soon you'll remember when you could remember when you loved someone. The A.C. hasn't worked in twenty years. She came back home on a Trailways bus. Stole a pack of Camels for the both of us. She crawled right up to the front door of my house. Never could believe a word that comes from her mouth. so many times it’s all there in my head. I watch every word reflect in her eyeglasses. I know when she’ll laugh and I know when she’ll cry. I know when she’ll cry. Won't you ride with me? cross-legged on the barstool, like nobody sits anymore. sharecropper eyes and her hair almost all gone. she made up her own doctor's notes. Surrounded by her family, I saw that she was dying alone. and she'd get high and sing along. and try to ignore the elephant somehow. 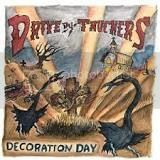 In case the term is unfamiliar, Decoration Day is the original name for Memorial Day, at first a day for decorating the graves of Civil War dead. The term is still used, at least in the rural south, for the annual day or remembrance at church and family cemetaries. And I've a mind to roll a stone on his grave. But what would he say. Keeping me down, boy, won't keep me away. But my Daddy wasn't afraid. And beat till he just couldn't walk anymore. And I know what Hollan Hill drives. 'Cause nobody needs all us Lawsons alive. The lumber man's favorite son. And if you see Hollan Hill run. And I'll send all the Hill Boys to hell. And I've got family in Mobile Bay. But that don't bother me, it ain't marked anyway. And I got dead brothers in east Tennessee. He had no one to fall on but me. And I've got a mind to go spit on his grave. And I'd fight till the last Lawson's last living day. I'd fight till the last Lawson's last living day. The post was edited 18 times, last by ned ( May 24th 2015, 3:36pm ). 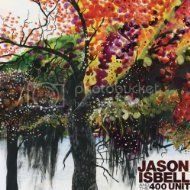 This selection of Jason's songs intends both to collect some of his better work (at least in my view) before Southeastern and to highlight his range of styles. The Drive-By Truckers were a hard-rocking band, with influences ranging from grunge and southern rock to alt country. In his solo career, Jason has covered a lot more territory. If he has a default mode, it's probably most like indie rock, though he frequently goes back to all the other styles noted below. His apprentice days in Muscle Shoals has given him an impressive range. The final group comprises songs from his DBT days that Jason still plays in concert. Jason has said that his new album will have an indie rock feel. Although the Americana awards have tended to pin him that label, indie rock is not a new direction. Jason's time with the Muscle Shoals sessions men influences a number of his songs. The first clip below, Hurricanes and Hand Grenades, has some Ray Charles flavor. No Choice in the Matter evokes an Otis Redding session with the Stax horns (no live version available). Jason's country-styled songs are never quite country in the way a country radio station would recognize. The melody and beat borrow from country but the subject matter, the attitude toward it and the music don't quite track, like the guitar in Cigarettes and just about everything else in the crowd favorite, Codeine. Some of the songs are too hard to label. That's why we have Americana. The post was edited 3 times, last by ned ( May 22nd 2015, 6:02pm ). Sorry all the good artists were taken before you got here. Oh well ...guess you'll just have to make the best of it with Mr. Isbell. I had to test out the new smileys. Oh, too bad! I'll do my best to make do. Should be fun. The title refers to an apparently very loud shout of approval from an audience member at a quiet moment. 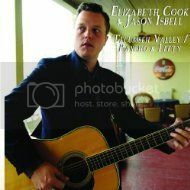 'It's almost as though the decision to play venues outside of New York City limits — the Capitol in Port Chester and the Space at Waterbury in Long Island the night before — was strategic, in that it gave Isbell fans an excuse to think as the train or cab quietly cut through the stillness of the suburban night. The intricacies and intimacies of Isbell's songs meander through painful pasts, nerve-wracking plane rides and homeward-bound journeys. Mulling over those as the city drew nigh made for the perfect ending to a flawless performance from a man who turns flawed odysseys into Southern epics in four lines or less." It must never get old getting reviews like that. Good song and her delvery is very cool. She's got the right amount of quirkiness. The more I hear her playing the more I like it, too. Her fiddle lines in the Born in the U.S.A. cover really set it off. She doesn't sound like anyone else I know. The post was edited 1 time, last by ned ( Jul 1st 2015, 6:33pm ). Wim you have outdone yourself. I haven't been able to leave this thread for over an hour. It's not much of a secret that I'm generally not a fan of male voices but Jason is an exception. He is one of the few peeps on my "Desert Island" list. Why he is not a commercial smash makes less sense than why do we drive on a parkway and park on a driveway. Thanks! It's been a lot of fun to do and gave a great excuse to go back through the music and catch up on the articles and reviews. He may never have a hit record but he'll leave a mark bigger than most of the folks that do. The thing that always gets me about his lyrics is that they seem so plain spoken and still turn a phrase or pull off an image that startles and stays with you. He doesn't have the prettiest of voices but he has commitment you can't turn away from. I can think of a handful of other folks like that, but not many. The post was edited 1 time, last by ned ( Jul 1st 2015, 6:34pm ). It's great to have a place someone to pull it together. Review of Jason's concert in Albany last night. He is at the Del Fest in Cumberland, Maryland, today and in Boston tomorrow night. In anticipation of his concert in Cleveland on Tuesday, Cleveland Scene published the piece at the link. Cleveland Scene. The Trucker past follows Jason in some funny ways. "Singer-songwriter Jason Isbell was a member of the Drive-by Truckers when they played in Cleveland several years ago and guitarist Mike Cooley took out his frustrations on the Beachland Tavern stage. He maintains he was just an innocent bystander. “'That had nothing to do with me whatsoever,'” laughs Isbell, who left the band and embarked on a solo career six years ago. “'I just stood up there and played, man. [Mike] Cooley was pissed because [singer-guitarist] Patterson [Hood] had canceled the show the night before. Cooley had too much to drink. He started smashing his guitar and knocked a good hole in the stage from what I recall.'" 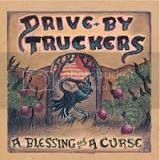 You can imagine it wasn’t easy to venture out as a solo artist after being in a band with such larger-than-life personalities as the Truckers. But Isbell has done just fine on his own." The story is a good occasion for one of Cooley's more raucous and fun songs for the DTB--Gravity's Gone. In this acoustic version, Jason is on the left playing slide guitar and Patterson Hood is in the middle. And thanks, Spurrious, glad you enjoyed. Excellent show. This concert has the only live version I've seen of Jason's cover of Candy Staton's Heart on a String, a cool R&B performance. 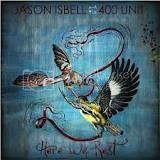 The song appears on Jason and the 400 Unit's Here We Rest. Several other songs from the Lincoln Center are posted in separate clips on the PBS website. The Austin City Limits show is another outstanding live one. It's available on Amazon but I haven't seen a video link. It's worth the $10.00. The Lincoln Center video gives an abbreviated version of Jason's cover of the Rolling Stones' Can't You Hear Me Knocking, a barn-burner he has used in encores off and on for the last year or so. The whole Lincoln Center version of the CYHMK appears on a different PBS link and is included just below. I include a fan video from a concert last year in case there is any trouble with the flash version at the PBS website. At Lincoln Center, Jason brought up some of the Muscle Shoals horns--a real treat. In the Austin City Limits encore version, Jason and his guitarist, Sadler Vaden (formerly lead for Drivin' 'N' Cryin', the Atlanta-based southern rock outfit) have perhaps the best extended two-guitar lead break I've heard since, maybe, Keith Richards and Mick Taylor or Ron Wood. Btw, CYHMK is from Sticky Fingers, recorded by the Stones in Muscle Shoals. The fan video catches a version approaching the ACL cut, though the light is off and the focus a little tight; sound is good. The post was edited 15 times, last by ned ( May 24th 2015, 5:37pm ). That's a relative term ya know. I've been lovin on bout everything he does. Can you give me a visual? Ya know in 's maybe. How many for this one? I got a kick out of hearing Super 8 back to back with Can't You Hear Me Knockin'. Made me realize again how close the Stones are to southern blues playing. They always told us that, but putting those two songs together let's you hear it nicely. Man, when Jason cuts loose on that gold-top Duesenberg, the sound is amazing! Thinking about covers and closers, Jason covered and closed with Van Morrison's Into the Mystic on some occasions in his earlier solo days. The song appears on his EP, Live from the Twist & Shout. Good song - as he says later, just dont call it blue-eyed soul. 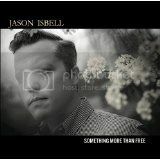 Jason's song, The Blue, from his second solo album evokes Van Morrison to me. Do you hear it? as he says later, just dont call it blue-eyed soul. Sorry ..I saw Derrick, Warren and the boys play this a few years ago and it was an unforgettable life moment. Very nice! It would be great to see them play together. 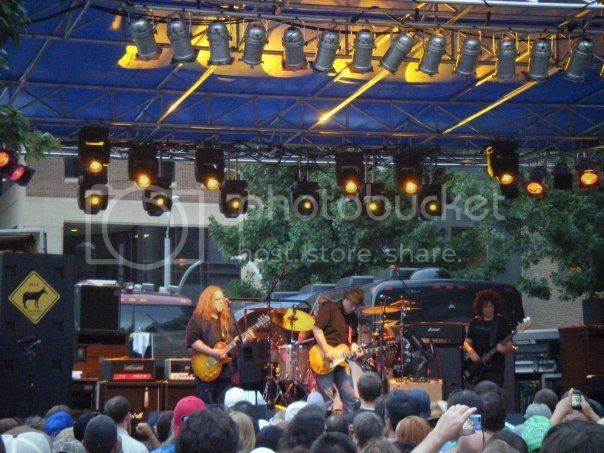 Jason has done Warren's Christmas Jam in Ashville and they have played but haven't been lucky enough to see them. Here is a photo at least of them covering Neil Young's Don't Let It Bring You Down. The post was edited 7 times, last by ned ( May 25th 2015, 1:11pm ). I found this interview with Jason, it's from last year but is good . . . Thanks to ATE for the interview from Austin City Limits. This is the interview in which Jason explains that you can call him alt country, but please don't call him blue-eyed soul.